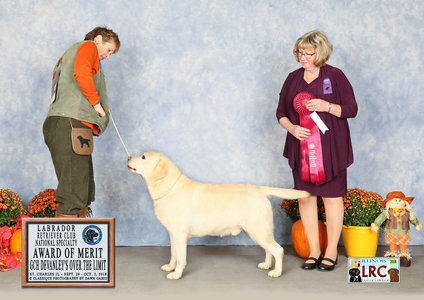 Mack is our second AKC Grand Champion out of Grandriver's Grace Under Foot. 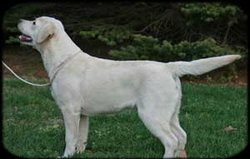 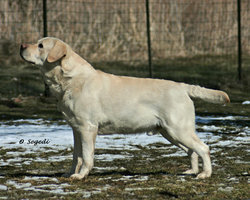 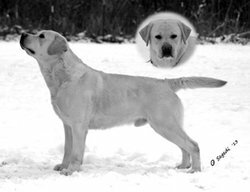 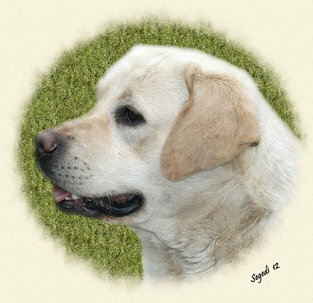 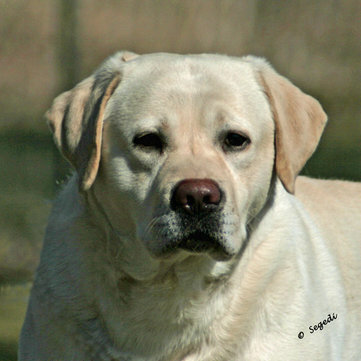 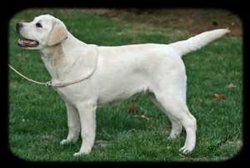 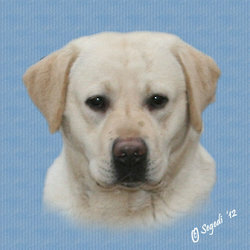 Mack is a very easy to live with boy who enjoys retrieving and showing in the conformation ring. 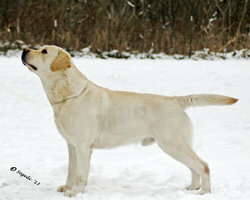 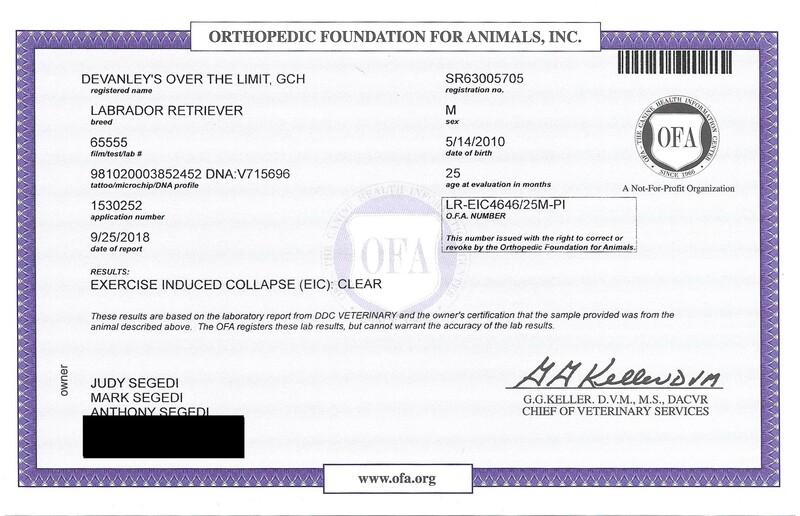 His puppies possess his lovely sweet temperament as well as correct structure. 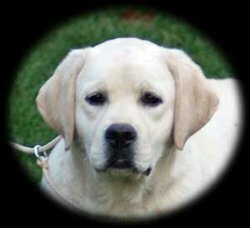 His puppies have gone on to become several of our own show dogs as well as wonderful family companions and service dogs (including Diabetes Alert Dogs). 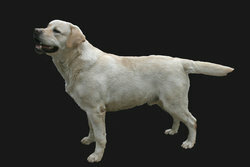 Award of Merit - Labrador Retriever Club Nationals under Breeder Judge Susan Huntzinger (came out of retirement for this show).